Tech company waytoB has announced this afternoon that they have withdrawn their participation from the World Meeting of Families event due to the event's treatment of LGBT+ groups. News 16 August, 2018 . Written by Katie Donohoe. waytoB is a smart tech solution to enable people with higher support needs to get from A to B independently while providing peace of mind to loved ones. 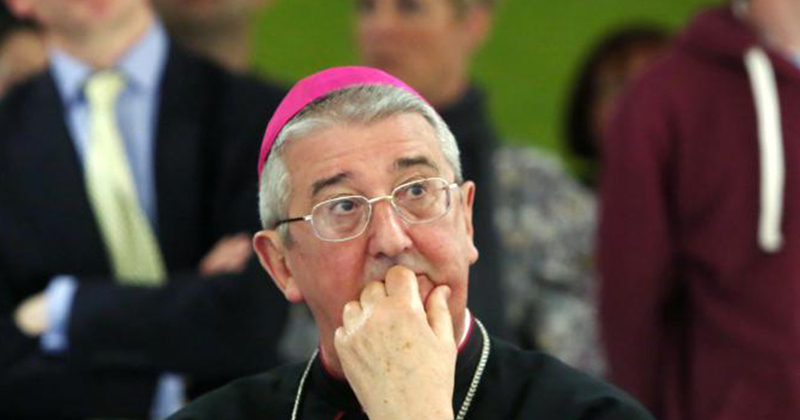 An email was released by We Are Church Ireland earlier this week which they received from an anonymous source within the World Meeting of Families (WmoF). It includes a copy of a circular from WMoF sent out towards the end of July to selected groups, offering them free exhibition stands at the RDS from August 22 to 25. While free exhibition stands are being offered to certain groups, We Are Church Ireland, which promotes LGBT rights among others, have had their paid application for a stand ignored. Following the revelation that LGBT+ groups were having their paid applications ignored, wayToB made the decision to withdraw from WMoF. “We have decided to withdraw ourselves from the World Meeting of Families, after learning they’ve denied LGBT+ groups a paid stand claiming lack of space, and then offered selected groups (including @waytoB_) a free stand. I hope others do too,” Holzer announced on Twitter. We have decided to withdraw ourselves from the World Meeting of Families, after learning they’ve denied LGBT+ groups a paid stand claiming lack of space, and then offered selected groups (including @waytoB_) a free stand. As a member of the LGBT+ community, Talita said she could never take advantage of the opportunity to exhibit at WMoF and that the decision was completely supported by her co-founder. “As part of the LGBT+ community myself, I would never take advantage of this opportunity while LGBT+ groups were discriminated against. Fianna Fáil Representative for Dublin Rathdown, Justin McAleese thanked waytoB for standing against this discrimination. Thanks to @waytoB_ for standing in solidarity with the LGBT community. The discriminatory and no gays need apply approach that WMOF appear to be following needs to be challenged at every turn. Will others follow? Thanks to @waytoB_ for standing in solidarity with the #LGBT community. The discriminatory and no #gays need apply approach that @WMOF2018 appear to be following needs to be challenged at every turn. 16 August, 2018 . Written by Katie Donohoe.